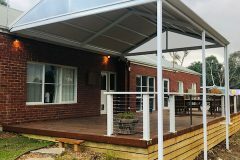 Impress your guests and improve the aesthetics of your property with Melbourne’s leading Colorbond pergolas from Undercover Concepts. 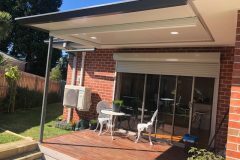 Wine and dine in the open space of your home and yet be protected from Melbourne’s unpredictable weather elecments by our beautiful steel pergola designs. We’re dedicated to providing the perfect pergola for the Ringwood, Berwick, Bullen, Camberwell, Doncaster and many more Melbourne’s suburbs. Our fully qualified plumbers and builders will bring class and style to your home with quality pergola designs. With sturdy steel framing and impeccable workmanship, you can rest assured that your pergola will stand the test of time. 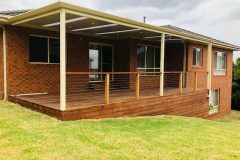 We always ensure that our clients in Melbourne are satisfied, not only with our well-constructed pergola designs, but also our reasonable prices. 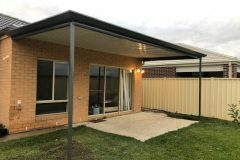 We always ensure that our clients in Melbourne are satisfied, not only with our well-contructed pergola designs, but also with our reasonable prices. 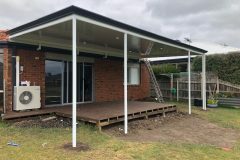 We also offer our unbeatable services to a wide range of suburbs — for the kind of top quality, modern pergola Ringwood, Berwick, bullen, Camberwell & Doncaster suburbs are raving about, callUndercover Concepts. With Competitive pricing and guaranteed quality of workmanship and materials, it’s no surprise that we’re Melbourne’s first choice when it comes to steels pergolas – make us your too. For a complete solution, be sure to view our stunning verandah designs and modern steel carport designs, sure to complement your property. For a quick and free quote contact us or give us a call on 1300 270 740. With massive spans of up to eight metres, it is available freestanding or attached. The beams can be left open or fitted with shadecloth for full sun protection. The shadecloth is attached with a special clip for a neat finish. Complete the system with optional profiled beam ends. 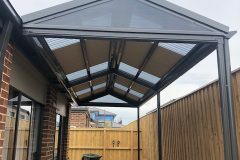 Designed to attach to your pergola as an angled, fixed blade arrangement, Shade Blade lets the light and breeze in while providing shelter from the sun. The unique blade design has a small gutter to provide protection from light rain.